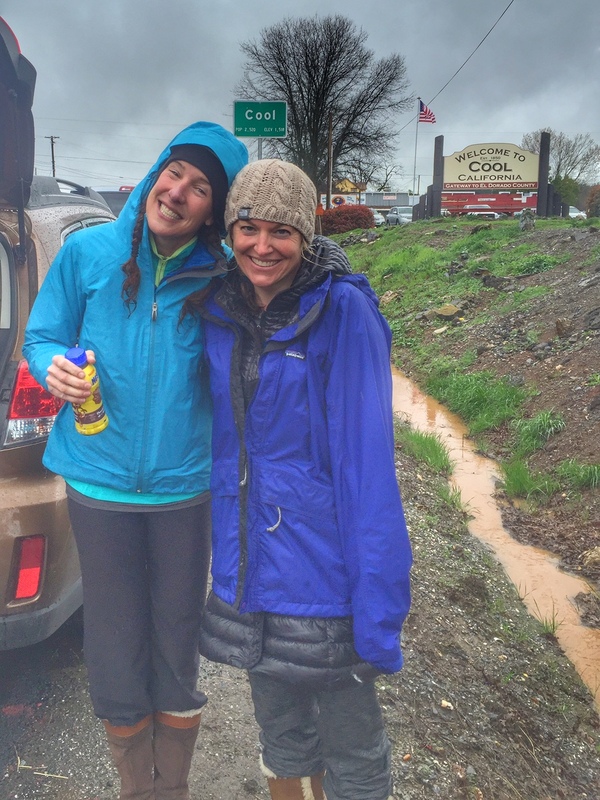 The 2016 Way Too Cool 50k was wet, enjoyable and overall quite lovely, but the lasting memories this year were not within the race as much as from the preceding months of training. 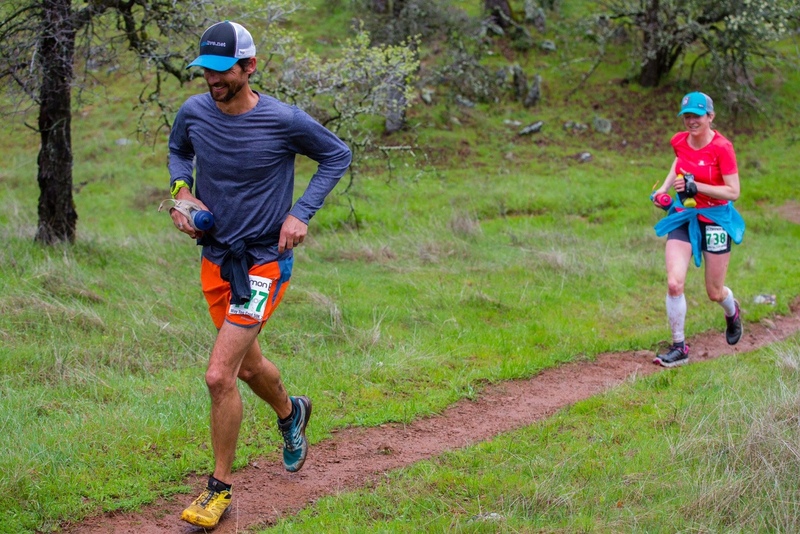 I look forward to running ultras because when the race starts all of my problems, fears and worries disappear and all there is to do is run, drink, and eat. After months of challenges in real life, being able to completely escape into a run was a reward more than crossing the finish line. So this is less of a race report, and more of a WTC training memoir. I followed a plan set up by my coach, Meghan, which began in mid-January. Running in January and February proved “challenging” in a year that we actually had snow. I hit the mileage every week, but with only one long trail run, the majority was either pavement, treadmill, or running on snowshoes. Although I wasn’t getting much in the way of elevation gain/race specific training, I was consistently faced with challenges that I considered to be “mental preparedness” for the race- juggling a full-time job, a new puppy, and my 10-year old twins with me half the time with school, ski races and training schedules of their own. My typical weekday runs began at 5am or earlier, before my kids woke up or work began. Sometimes getting the mileage in meant breaking it into 3 or more runs throughout the day, whenever the opportunity arose. My first long run (13 miles) was after fresh snow (kids were at ski team), so running on the roads was not a good option. I snowshoe-ran lap after lap around the Squaw Valley cross country ski trails. Despite only covering 13 miles, when I finished, I felt like I had run a marathon. Some days I mixed it up with downhill skiing, cross country skiing, snowshoe running, and running. One particular fun adventure began at Tahoe Donner Cross Country Center on skate skis – I lasted one mile due to sticky snow and rain; luckily I had snowshoes and boots (Sorels) in the car, so I then set out on a 9 mile snowshoe run. Afterwards, I grabbed running shoes and headed to the Legacy Trail in Truckee for 11 more miles. I saw the most beautiful sunset heading back. 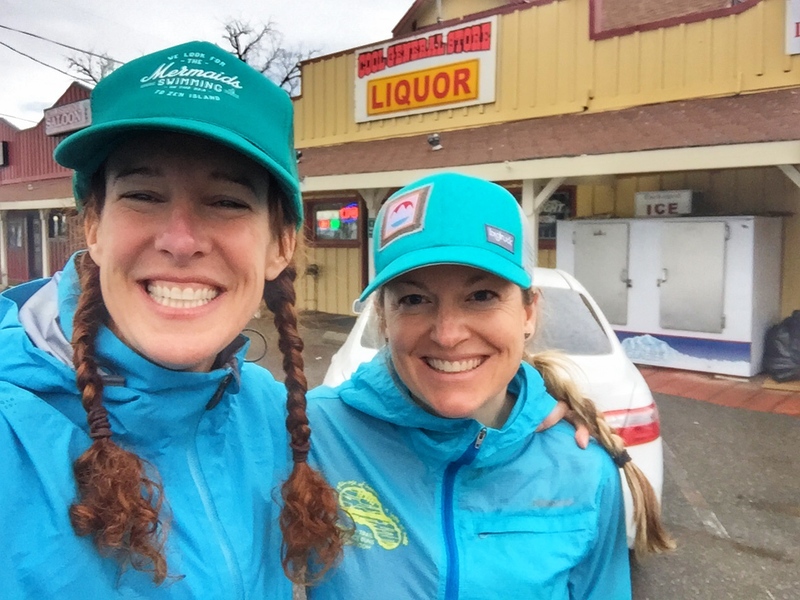 Another hard day called for 18 miles – we had fresh snow, I was hungover, depressed, heart broken… and I couldn’t bring myself to run on the icy pavement, so I went snowshoe running – the first 6 miles with an amazing group run led by Donner Party Mountain Runners. We got back to the cars, they all went home, I put on dry clothes and did two more grueling laps on the 6-mile course. I was cold, it was a total slog, but it needed to be done and the views made it all worth it. An 18 mile snowshoe run is a great hangover cure too FYI. On a Saturday with 23 miles scheduled, I got up at 4:00 am to run eight miles on pavement before bringing the kids to ski team – after drop-off, I ran 17 miles on pavement, hitting nearly every neighborhood in the valley + a victory lap through the valley with the sled dogs. The kids appreciated these long runs while they were skiing because it meant I was starving at pick-up and suggesting things like cookies or ice cream for an afternoon snack. On the morning of my longest training run, after all plans fell apart last-minute (happens often with kids), instead of heading to Reno to run on trails, I dropped my kids off at ski team and ran laps around the valley streets/bike paths for 28 miles. Seriously. About 90% on pavement (the rest post-holing on groomed ski trails). With one mile to go, a friend (I wasn’t sure who at the time) yelled encouragement out her condo window at me – “Yeah girl, you got this, Go Jenelle! !” – it was enough to bring tears to my eyes (thanks Lauren). I finished just before it was time to pick the kids up – and although this was about as far from race-specific training as I could get, I knew that this was golden as far as mental-preparedness for an ultra. Driving down to Cool early Saturday morning, Gretchen and I caught up on each other’s lives and the race seemed to be an afterthought. We arrived early enough to get our favorite parking spot (I’ll never tell where). It wasn’t raining yet, and we joked about how we had brought a combined 7 rain jackets between the two of us. The race began – and everything just fell into place. The water (rain, puddles, creek crossings) was refreshing, it was wonderful to be on actual trails (finally), the camaraderie of fellow racers was encouraging, and the beauty of the canyons in Spring was overwhelming. Tips from friends floated through my mind and guided me along (Thanks Melissa, Helen, Gretchen, Lynette). My legs were working, my lungs were working, and my only responsibility was to drink, take gels, and run without fear. That’s all. This was the fun part. With one mile to go, I spotted Lucas, standing in the pouring rain, cheering me on. I had been looking forward to that moment, and it gave me a nice boost to run hard to the finish. I was thrilled to splash through the final massive puddles and see the clock – 4:55:42. I’m constantly reminded of why I love ultras… at times, a race can seem like the “hardest thing I’ve ever done”. Then real life happens, and I realize the ultra was just training me to deal with reality. Then, on a day like this race, it actually serves as an escape from said reality. Whatever it is, I’m hooked. And looking forward to easier snow-free training ahead. And happier days in general. You are very inspiring Nelly! I love your comment “at times, a race can seem like the “hardest thing I’ve ever done”. Then real life happens, and I realize the ultra was just training me to deal with reality.” Thanks for sharing!